QMSuite® can be configured in one of two ways. 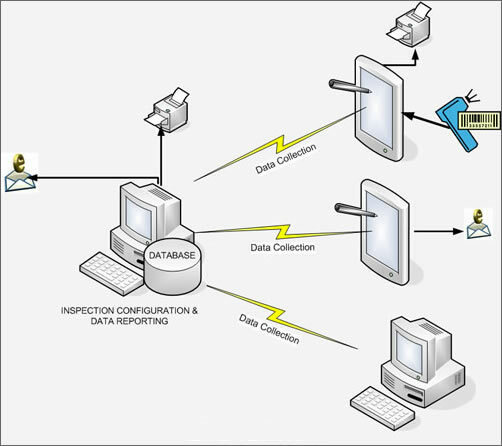 In the Enterprise Configuration, the QMSuite Database resides on a networked server, where all three QMSuite® modules transfer data back and forth from networked client computers. 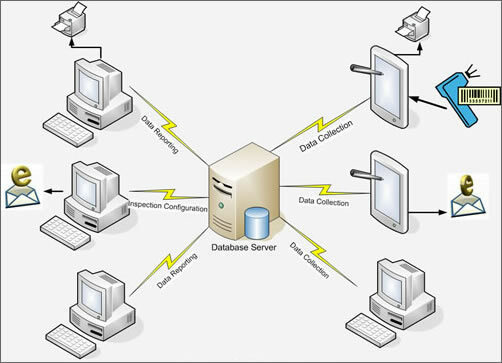 In the Local Configuration, the QMSuite Database resides on a local server such as a desktop PC. Only the QMInspect modules transfer data back and forth to the local server via a local Ethernet connection. The QMConfigure and QMReports modules reside on the local server.